Recently, a remarkable little fruit has been making its way into previously untapped markets. Already popular around the world under various names, the Inca berry is finally popping up on North American shelves. The tiny ancient fruit has been called a superfood and it certainly has the history to prove it. This berry has been providing nutrition to people for centuries. This week’s recipe celebrates the newest name for the Inca berry, the pichuberry, a name meant to conjure up images of Machu Picchu. Read about the history of this wondrous fruit and enjoy a batch of Pichuberry Raspberry Coconut Muffins full of fresh-baked goodness and potent antioxidants! 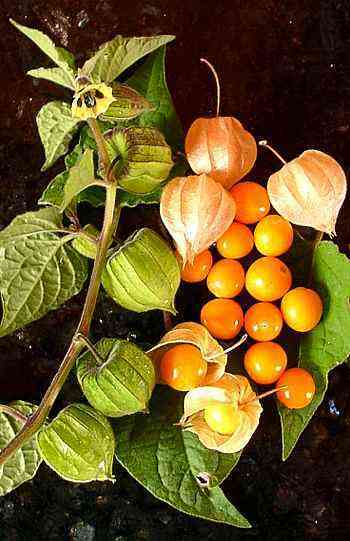 The scientific name for the Inca berry is Physalis Peruviana. It is indigenous to the high altitude tropical regions of South America, including the Peruvian highlands where the Inca Empire flourished. Over 800 years ago, the Incas picked this wild-growing fruit. It is unclear whether or not the Incas actually cultivated the crop at some point, but some sort of domestication is suspected. The Inca berry has been called the “Lost Incan Crop.” Spanish conquistadors arrived in the Inca Empire in the early 16th century and soon noticed the tiny fruit. They carried it back to Spain where it spread to England, France and eventually Africa. Around 1774, English settlers on the Cape of Good Hope began growing the Inca berry and from there it spread to Australia where it acquired its current Australian name, the “Cape Gooseberry.” Today, it is grown all over the world and each region calls it by a different name. In Madagascar it is pok pok, in Hawaii it is poha, in Africa it is the African ground cherry (though it is not actually a ground cherry), in China it is the Chinese gooseberry and in France it is poetically called love in a cage. What better way to enjoy a healthy, ancient fruit than baked into a sweet and delicious comfort food. So, pick up some Pichuberries and mix up a batch of these muffins to share. Happy baking! Prepare a muffin pan by lining with paper cupcake liners. Preheat the oven to 400 degrees. Remove the stems and papery skins from the pichuberries and rinse them in cold water. There is a sticky film on the outer flesh that needs to be rinsed off. Dry the berries, cut into quarters and place on a baking sheet. Sprinkle the tablespoon of sugar over the top. Roast in a 400 degree oven for 10-12 minutes. Pour into a mesh strainer to drain the liquid off. Allow to cool. Cream the butter and sugar together until light. Scrape down the sides of the mixing bowl. Add the egg, sour cream (or yogurt) and vanilla and mix well. Mix the flour, baking powder and salt together and add to the creamed mixture. Gently fold in the cooled pichuberries, raspberries and toasted coconut. Use a scoop to fill each cup to about ⅔. Sprinkle with crushed toasted coconut and bake in the oven for about 25 minutes until lightly golden brown on top. This entry was posted in Blog, Bon Appetit Wednesday, Culinary, Culture and tagged ancient history, ancient recipe, AntiquityNOW, Bon Appetit Wednesday, Inca Berry, Inca Empire, Mesoamerica, Peru, Pichuberry. Bookmark the permalink.